Many telecommunication sites contain tall slender towers in elevated and open areas where the risk from a direct lightning strike is considered high, particularly in areas of frequent lightning activity. In servicing this market segment LPI has developed the STORMASTER-ESE-TELCO specially for enhanced protection of transmission equipment on telecommunication towers. 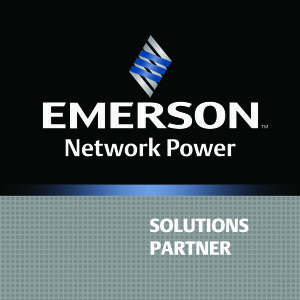 The STORMASTER-ESE-TELCO provides a more reliable solution in comparison to conventional protection systems. The LPI STORMASTER-ESE-TELCO provides a more reliable system for the protection of transmission equipment on telecommunication towers from direct lightning strikes. 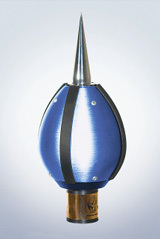 The LPI STORMASTER-ESE-TELCO captures the lightning energy at a preferred point. The energy is conveyed to ground via a downconductor(s). When the energy enters the dedicated lightning earth, it is safely dissipated without risk to personnel and equipment. 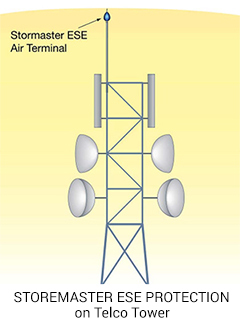 A) ESE Terminal is an effective preferred point of attachment for lightning and therefore minimizes risk of damage to equipment mounted on tower. 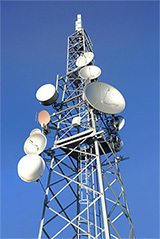 B) Reduces operational expenses and down time of telecommunication system.